If you’re looking at taking your honey off you’ll be looking at clearing the bees. 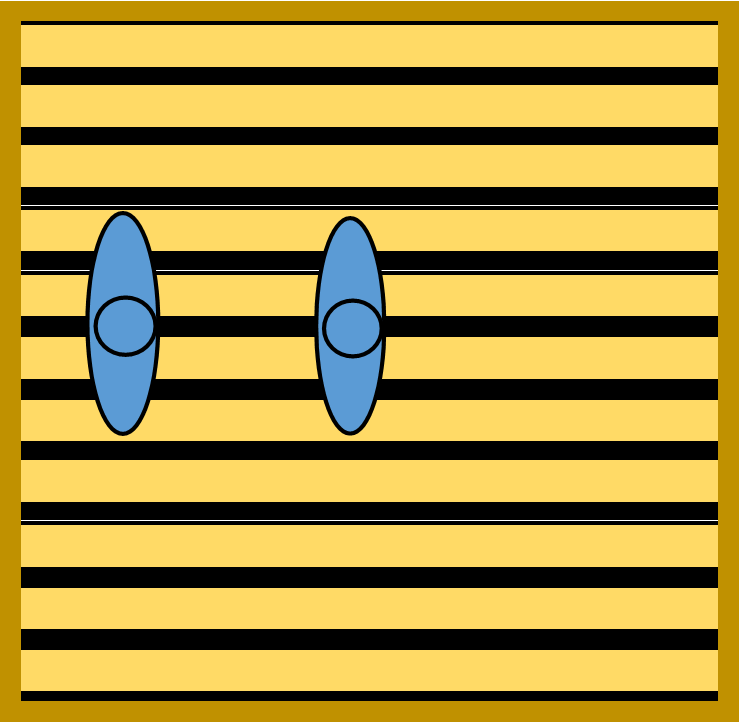 If you’re in a hurry and you like a fight you can always shake them or brush them off the frames but if you favour something slower and less brutal you’re looking at a clearer board. 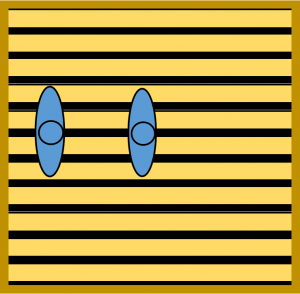 All clearer boards employ some species of a one-way bee-valve. Generally speaking – the faster they clear bees – the faster the bees will find their way back up again. 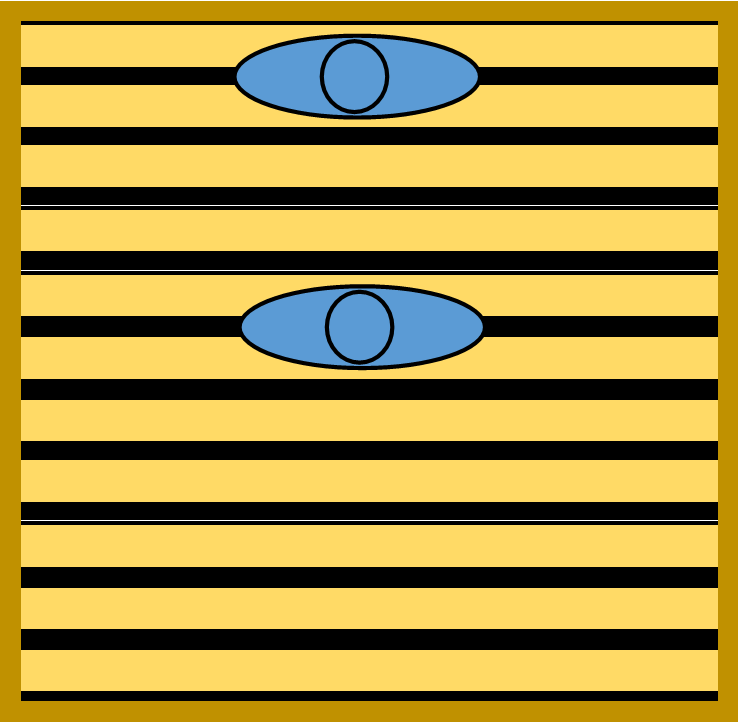 Porter bee escapes make for a slower clearer board but correctly set they will not allow the bees to get back up again. Unfortunately they often get a bad press but if they are set up carefully and a few precautions are taken to maximise success – they’re brilliant. By the way, when a Crown Board has Porter bee-escapes fitted it becomes a Clearer Board. When you take them out it’s a crown board again. There’s another advantage: – other clearer boards are just clearer boards – full stop. 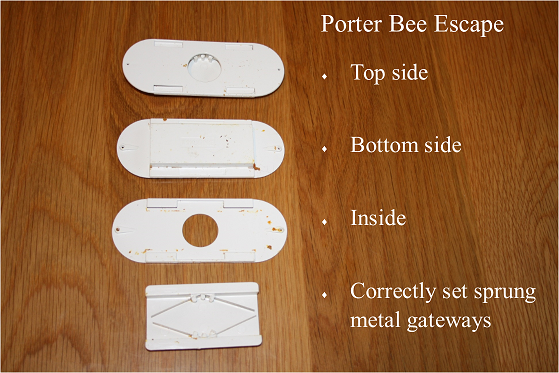 The top plate slides off a Porter bee escape (see photo above) so you can set the springs inside or clean it. 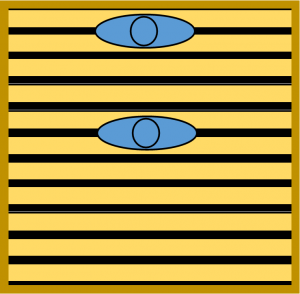 Set the metal springs so the space between them is about 3mm – use yer loaf here – it needs to be wide enough to allow a bee to push through but narrow enough prevent it from returning. Because the smell of the brood nest will only be wafting strongly through one hole. This way, the bees will be drawn like Bisto kids through both escapes by the smell of the brood nest. Be prepared to wait for at least 24 hours. Ideally, if you were to put them in in the morning they should be clear by the afternoon of the following day. Drones in the supers – these fat boys will either get stuck the escapes like Winnie-the-Pooh in the rabbit hole and bung up the works or will simply gang together and refuse to even try. Drones will bung up any and all alternative clearer boards I know of. Some people will stack all of their supers together on a clearer board on a separate stand/s. This sometimes works but if there are a lot of young bees in the supers they will either not clear at all or they will be hanging underneath in a sad clump not knowing where they came from or where to go. That’s my experience anyway. If it was me I’d be tempted to shake the rest out but if it’s too cold, it’s too cold and it’d do no harm to put in the queen excluder and try again later. However, make sure your queen hasn’t got into the super! Or been and laid in the super!